Add Peanut Butter to the things you should be making yourself at home. You can buy raw peanuts and roast them yourself, or you can purchase peanuts already roasted from a trusted source and skip the roasting, shelling, and de-skinning (this is what I do). 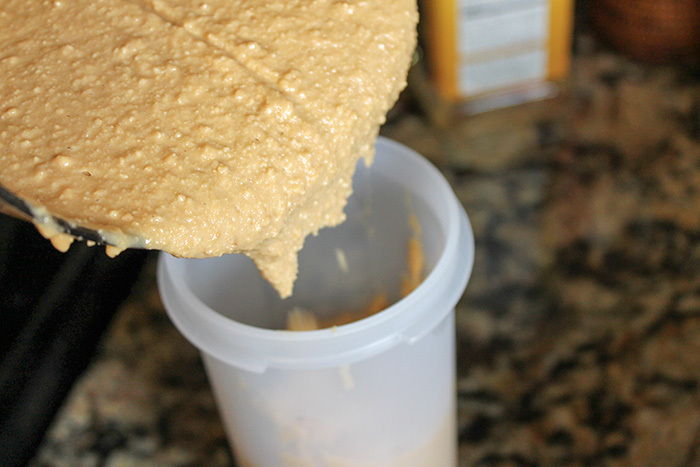 Making peanut butter is as easy as it gets, takes less than 5 minutes, and the kiddos love helping. Here's how. You will need some peanuts, peanut oil (make sure these are not genetically modified; mutant peanuts = mutant people; I'm sure that's scientific), and a food processor or pretty stout blender. 1. 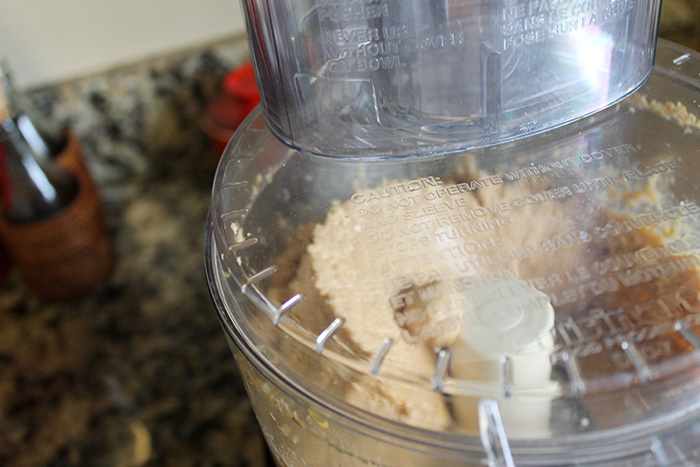 Place about a pound of peanuts in a food processor or blender, and start chopping them up. 2. When the peanuts are pretty much into a really chunky thick paste drizzle about 1 1/2 tbsp of peanut oil into the machine while it is still running. I don't measure any of these things. I throw some peanuts in and slowly pour oil in until I get what I want, not rocket science. 3. Add more or less oil to get the consistency you like. 4. Add raw honey if you like, about 1 1/2 tsp. 5. Put in an air-tight container and refrigerate. Little's Favorite Peanut Butter with Raw Honey.